Low score wins! 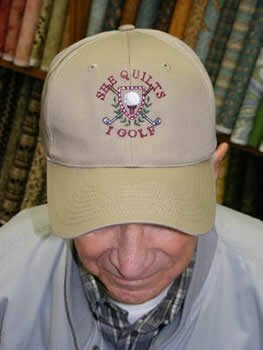 Our "She Quilts ‚Äì I Golf" cap is a fun gift for the links-lover in the house. Khaki with color embroidery.